An orchestra official told him to just get over it, “It happened a long time ago!” But Clive couldn’t. This was in 1965. But through his frustration came a revelation: studying the Holocaust through music could spark new interest among Jews inured to stories of death and destruction. “From then on, I knew the subject of music and the Holocaust was one I had to pursue,” he says. His quest received a huge boost following a life-changing trip with Federation partner World ORT. World ORT took Clive—a former chair of the London College of Music and London School of Jewish Studies, and a lecturer on music and the Third Reich for over 40 years—on what he calls “one of the most incredible experiences of my life”: a whirlwind tour of ORT’s cutting-edge Jewish day schools in ten countries around the world. “Tremendously impressed,” he realized World ORT’s global reach and emphasis on Jewish education made them the perfect partner to spearhead his unique approach within Holocaust studies. 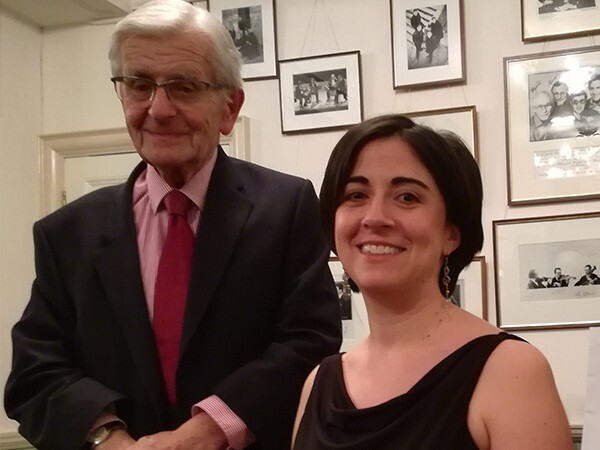 Together with Dr. Shirli Gilbert—a history professor at the University of Southampton as well as a musician and a grandchild of survivors—he curates World ORT’s Music and the Holocaust website. It’s now the world’s largest archive of such materials, including information on hundreds of composers, places, and themes, plus hours of sound and video clips. Now, anyone in the world can learn about Aleksander Kulisiewicz, who composed 54 songs over five years in the Sachsenhausen concentration camp; Herman Sachnowitz, a trumpeter in one of the six orchestras at Auschwitz; or any of the hundreds of other people who took the worst experience in human history and—willingly or not—turned it into art. “You listen to it and realize how much we’ve lost,” Clive says. No matter how much one learns about the Holocaust, listening to it is of vital importance to any Jew and lover of 20th century music. “People are moved by the rawness of the early recordings, and the voices of the young survivors freshly liberated from the camps. It opens their minds to a different perspective on the Holocaust,” Shirli says. It’s also prompted the creation of 20 fellowships for post-graduate students to explore new avenues such as the role of Sephardic music in the Holocaust and the effect it had on sacred music.